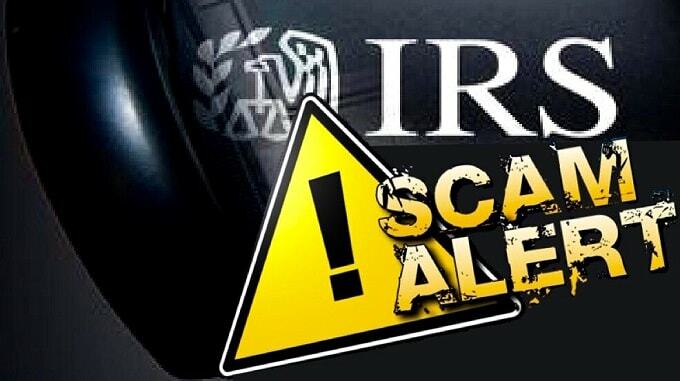 What is IRS scam all about? Hundreds and hundreds of people keep losing millions (not to mention their personal info) to IRS scammers. Fraudsters reach out to their victims via telephone, email, and even regular mail. We’ll start with IRS phone scam. It’s a type of scam that targets taxpayers, mainly immigrants; however, anyone can become their victim, from individuals to tax professionals and businesses. Usually, a caller claims to be an IRS employee, hiding behind a fake name and a false IRS ID badge number. Most scammers prepare for the call, so they might know a lot about their targets. They inform the victim that he or she has a bogus tax bill to pay. Right after that, they demand the bill to be paid as fast as possible, usually with cash via a wire transfer, as well as a gift or debit card. In some cases, scammers send a phishing email or use ‘robo-calls’ to leave callback requests. During IRS scam calls, frauds often bully their targets into paying by threatening and intimidating them. They use various threats, from arrest to revoking the victim’s driver’s license if the money isn’t paid in time. Recently, frauds began changing their tactics. Although the aggressive approach is still the main weapon of IRS scammers, they continue to experiment with different impersonation techniques. The real IRS can also be pretty aggressive when it comes to collecting bills, but it still follows a number of rules. In order to put an end to IRS scams, the agency is working hard to inform the public about the threat and teach people how to tell the difference between real and fake IRS communication. If you get an email from IRS with the request to provide any information about you, there’s a very high chance that you’re dealing with a scammer. It’s probably a type of phishing scam where frauds pretending to be IRS employees ask you to follow the link to a website closely resembling an official IRS portal. You may get an email saying something like this: “Update your IRS e-file immediately,” mentioning websites like IRSgov (the domain name is usually missing the dot). There are a number of factors that determine the way the IRS reaches out to you, but they will never call you without sending you an email notification first. If the IRS didn’t send you any bills, and now you receive a call from them (even if the number looks pretty official) — it’s definitely an IRS scam call. Yes, there’s still a chance that you haven’t received the bill yet or that it got lost somewhere. But you must be on your guard. Before jumping into any conclusions, make sure that you check if there are any other suspicious signs from the list below. If you get a text message or email from someone, who appears to be an IRS representative, check the text for awkward sentence structure and spelling mistakes. Many IRS scammers operate overseas, so obvious mistakes, typos, as well as unusual style of writing is a direct sign that you’re speaking to a con artist. In this case, the best thing you can do is ignore the message. In any case should you continue communicating with this person. If you’re not sure if the message is fake, you can contact the official IRS representatives. There’s a more sophisticated form of IRS scam out there. A person receives a direct deposit he or she didn’t expect from the Treasury Department. If this happens to you, stay alert, especially if after you receive a deposit, an IRS agent contacts you and asks for bank info or the return of the money. This is a solid sign of an IRS phone call scam. In case you get a surprise refund, it’s better to immediately report this to the IRS. Apart from that, it’s better to contact your bank to get the money returned to the government. This concerns anyone, who isn’t sure whether they’re dealing with a real IRS employee or not and look for confirmation. You should never give a payment over the phone no matter whom you’re speaking to. If you receive a voicemail stating that the IRS sues you or an employee is directly threatening you with arrest — you’re most likely speaking to a fraud. However, technically speaking, the IRS may do that in some cases. But if the representative tells you that the IRS is bringing law enforcement, you can be sure it’s a scam. The real IRS never forces people into paying their debts by threatening to involve law enforcement. There’s a possibility of the IRS showing up at your front door, but they will never act like a grumpy neighbor that forces you to turn the music off with threats. If the representative asks you to identify your address, social security number, banking information, etc., it’s time for an IRS scam reporting. The government will never ask you to give away any confidential info. If you do that, you are risking having your identity stolen. This applies to both emails and phone calls. While the IRS may actually send you an email, there won’t be requests for personal or tax-related information in it. And, of course, if you’re asked to provide your IRS website PIN, then you’re dealing with a scammer. These are the main signs of an IRS scam, but frauds come up with new techniques all the time, so you should check for updates from time to time. And never give away any information unless you have an official confirmation that the person you’re speaking to is really an IRS official. If you think you’re constantly being contacted by tax scammers, you should report IRS scam calls to the officials. It’s fairly simple: just send an email to [email protected] describing all the details of the conversation. Apart from that, there’s also the Treasury Inspector General’s online form for reporting IRS scams. It may not look trustworthy, but it’s real. The rest of the site is also legitimate, so no worries. As we mentioned above, this type of scam has almost no connection to dating websites. Some services may have poor protection which can result in users’ private info being leaked. But unlike other sites, the jump4love scam policy and security measures keep your data safe. Con artists can’t learn much from your dating profile, as your name is the only piece of information it contains (apart from your short bio, maybe). In case you want to learn more about the topic, you can find additional information on jump4love scams on our website.